Growing up in Greensburg, Pa., Leo Jacoby was the third of four children whose father was a philosophy professor at Seton Hill College, founded by the Sisters of Charity. His mother was a part-time teacher to homebound children and chiefly a homemaker. It was at Seton Hill that Leo, after graduating from Boston College with majors in English and Philosophy, met his future bride, Janet. Some years later, they married in the college chapel. Their friendship introduced Leo to a lifelong career in religious education — Janet was one of the first undergraduates in the country to major in this new field. Janet and Leo served as directors of religious education in separate parishes in Michigan and Minnesota before moving to Stevens Point in 1979. 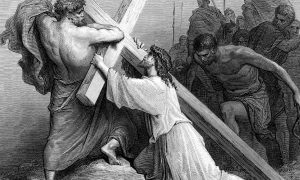 “Many of my classmates were from wealthy families, and a handful went to daily Mass, where we experienced liturgical experiments like the dialogue homily. My freshman dorm head was Don Keegan, SJ. After college, I returned to Cranwell, where Fatjer Keegan was conducting a summer house of prayer. He directed me in a life-changing, 30-day Ignatian retreat to help me discern my vocation,” said Leo. In Stevens Point, Leo and fellow DREs in the area sought professional development and got the bishop’s permission to enroll in LIMEX, an extension program offered by Loyola University in New Orleans. This provided a convenient way to earn a master’s degree in pastoral studies (MPS.) Leo also did graduate studies in religious education at St. Mary’s University in Winona, Minn.
After their son and daughter were enrolled in the consolidated Catholic school system, Janet became one of the first lay persons to enroll in the Spiritual Direction Preparation Program (SDPP) at the Franciscan Spirituality Center in La Crosse. This, plus some clinical pastoral education credits, led to 28 years serving in spiritual care at St. Michael’s Hospital. Twenty years after the beginning of the council, the new Code of Canon Law was issued, echoing an emphasis on the rights and responsibilities of all the faithful and the vocation of laity in the world. 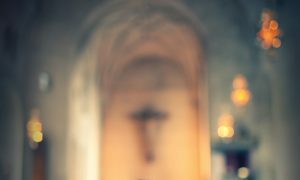 In his 1985 pastoral letter, Bishop Paul identified four areas for the consultative services of diocesan, deanery and parish pastoral councils: family life, worship, Catholic education and social justice. He also highlighted the need for greater collaboration in deaneries. One way the Stevens Point Deanery Pastoral Council and local pastors responded to the call for greater collaboration was to hire Leo in 1988 as a part-time deanery coordinator for adult formation. Until the office was discontinued in 2007, Leo facilitated collaboration among the 16 deanery parishes in adult religious education, pastoral planning, evangelization, stewardship, ministry to the elderly, catechist certification and council and committee formation. Many know Leo’s passion for books. He started a deanery library and continues to acquire and catalog each week books on religion, the environment, human development and, yes, science. Sadly, 55,000 titles, if you’re counting, are mostly in storage and have lacked sponsors, accessibility and promotion the past decade. Nevertheless, his quixotic hunt for used books (including some for the grandchildren) continues. “Learning is a spiritual practice and the arts and sciences are our human heritage to inform Christian action in the world,” said Leo. “Call me, if your school, parish or center would like to steward a collection of spiritual writings and many other topics. Shelving is also available. 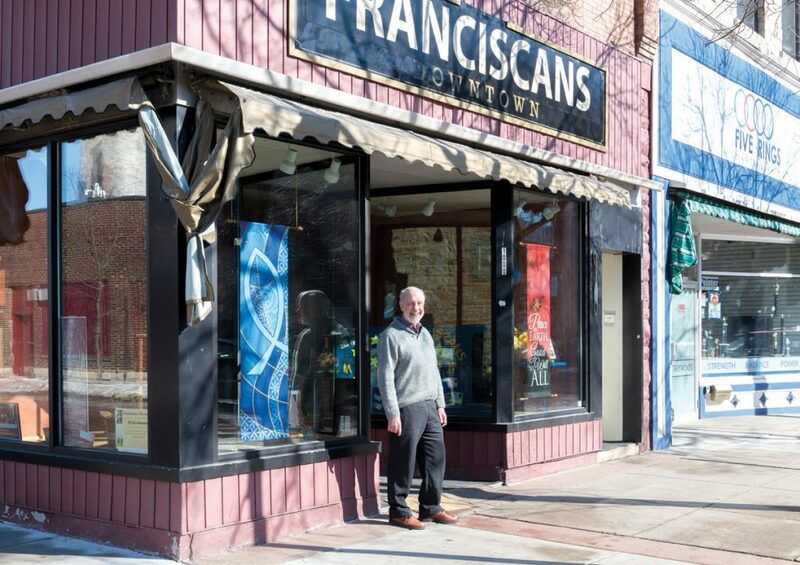 Leo stands in front of Franciscan’s Downtown, a storefront ministry in Stevens Point. Leo believes in lifelong learning. For 10 years, he was an adjunct faculty for Viterbo University. In the last four years, he has practiced what he preaches by auditing two dozen courses at the University of Wisconsin-Stevens Point. To name a few: Religious Diversity in Modern American; History of Religion in America; Humanity and the Global Environment; Critical Thinking; Contemporary Moral Problems; Literature and Ecology; and a grad seminar in social media. Leo ended his employment days as a religious educator serving the First United Methodist Church and Newman Catholic High School in Wausau. He stays active in local citizenship groups who advocate care for the earth and civil engagement. 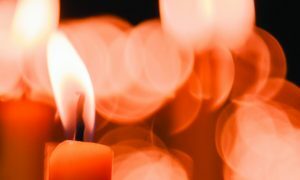 Leo continues to serve as a lector at St. Joseph Parish, and, with the parish Education Committee, helped launch seven groups discussing Resisting Happiness by Matthew Kelly this Lent. He also gives annual talks in an RCIA program shared by three parishes. “When Janet and I talk on faithfulness in a very successful deanery pre-marriage program, we are inspired by the engaged couples who have chosen marriage as their vocation. We are so blessed by our two married children and their spouses who are active in their Maryland and Chicago parishes. We just celebrated the baptism of our fourth grandchild,” he said. 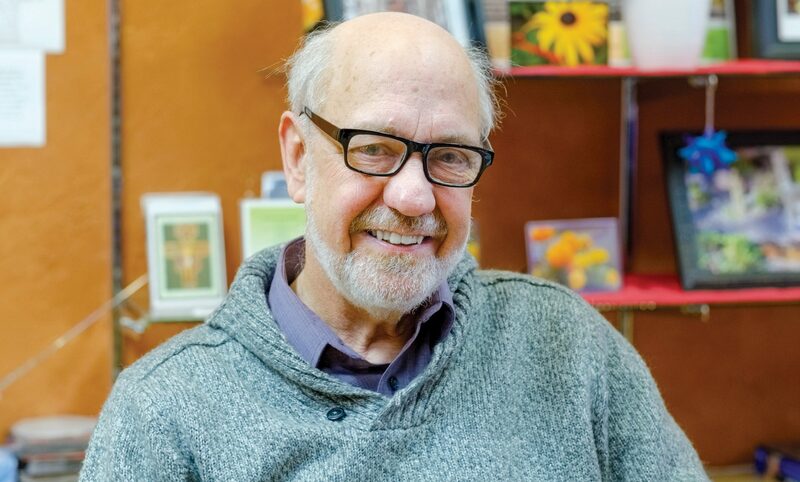 Another joy for Leo is volunteering as a host at Franciscans Downtown, a storefront ministry in Stevens Point started almost four years ago by Father Placid Stroik, OFM. Father Placid grew up in Stevens Point and was a chaplain for 20 years at Covenant House, serving homeless youth in New York City. Franciscans Downtown offers occasional guest speakers, musical events and a weekly movie with discussion. It is a safe and pleasant place to come out of the cold (or summer heat,) have a cup of coffee or juice and enjoy conversation. “You get to know the names of homeless and other guests, some of their life stories, joys and troubles,” said Leo. Like the village well in Scripture, there’s a good chance at Franciscans Downtown you will encounter Christ in the guise of host or guest alike. Its location in central downtown is emblematic of our “deanery” call to serve God’s people beyond parish boundaries. When you are in Stevens Point, stop by this place of beauty, dignity, warmth and acceptance at 1000 Main St., “where seekers shop.” Empathy and resilience are its abiding values.